Find out how L'Oreal, world's largest cosmetic company has transformed its talent acquisition practice inside out. Technology has radically altered the way the employees and businesses work. The technology has entirely reinvented and enhanced the processes and systems in various industries. The recruiting industry is no exception. In the last two decades, technologies like online job boards, applicant tracking systems (ATS), and professional networking sites have digitized and significantly changed the job application and recruitment process. However, the availability and ease-of-use of online recruiting tools have led to an enormous increase in candidate applications, even to jobs they may not be qualified for. Hence, overwhelming recruiters and creating gridlocks and inefficiencies in the hiring process. 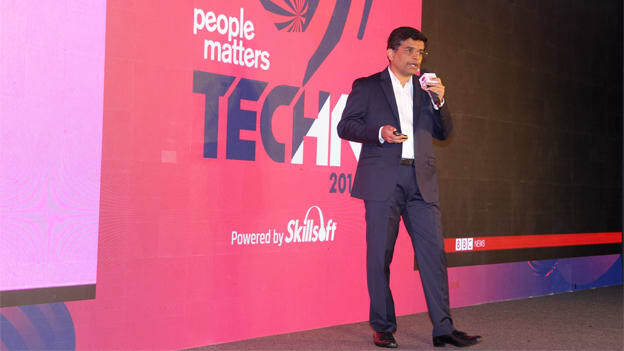 On the first day of People Matters TechHR 2018, Niilesh Bhoite, Chief Digital Officer - Global HR, L'Oréal shared how Artificial Intelligence (AI) and Machine Learning is enabling recruiters to be more strategic. He shared that leveraging AI made the recruiting process more efficient by freeing talent acquisition professionals from repetitive tasks and allowing them to concentrate on value-added responsibilities. The technology also improved the experience for job applicants by responding to their applications quickly and knowledgeably, accelerating the entire recruitment process. The L’Oréal Group is the world’s largest cosmetics company. Its self-proclaimed mission is to ‘invent beauty’ and offer everyone access to the best of cosmetics regarding quality, and safety. It has a presence in 150 countries, 34 global brands 82,600 employees. Every year two million candidates apply online to various jobs at L’Oréal. Out of those two million unique applications, the company hires 5,000 candidates every year. The job of selecting the 5,000 candidates out of the unique 2 million CVs or applications is performed by a recruitment team comprising of 145 recruiters globally. L’Oréal adopted AI and Machine Learning (partnered with Seedlink Technology) to avoid the non-value adding tasks and focus on more value-added tasks in recruitment. For the screening process L’Oréal adopted Chabot, Mya which helped job seekers like a human recruiter, screening potential candidates for the company. Mya which works on artificial intelligence and natural language processing ask questions, verify qualifications, and answer questions from job applicants about things like company culture, policy, and benefits. After Mya finishes asking questions and screening for qualifications, it would deliver updates to the recruiters letting the know about the "best-fit" and "non-fit" for the job role. Tell us about a project that you worked on failed. What did you learn from that project? Tell us about the project where you were working with the multi-cultural teams and what experience did you have? Tell us about a situation where you are convinced about your idea, but your seniors were not. How will you convince them? The algorithm compared the answers given by the candidates with the answers given by the L’Oréal employees and generated the cultural fit scores. This information was fed into the Application Tracking System which helped recruiters to arrange CVs based on the cultural scores they had. L’Oréal identified how AI could be used to deliver an improved candidate experience and leveraged AI to make deeper human connections with candidates. The technology helped not only the recruiters in shortlisting the right candidates for the job but also helped candidates to decide about their career at L’Oréal. Lastly, Bhoite also shared that leveraging AI enabled the capabilities of the recruiters. He believes that AI is not going to replace recruiters but augment their capabilities that will lead to a collaborative recruiting environment.